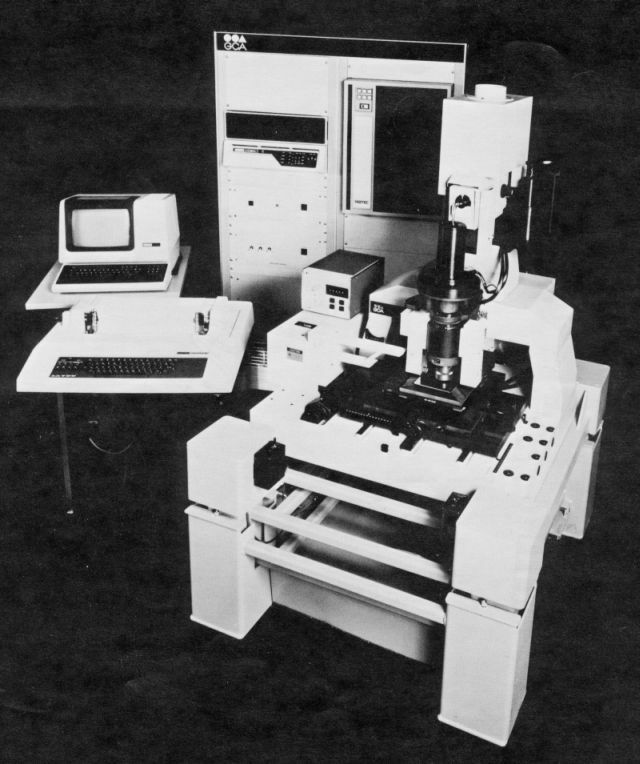 The GCA 4600/4600F was the last of the pattern generators to be made by GCA. It was basically a GCA 3600 PG except using a more recent (for the time) LSI-11 minicomputer and a 9289 interface chassis. The UPG4600 upgrade kit operates in exactly the same manner as our UPG3600 upgrade kit and uses the EPP parallel port interface of our UPG_STEP stepper upgrade to connect to the PG electronics chassis.